From AMP6 many sewage treatment works (STWs) have to meet increasingly stringent total phosphorus (TP) discharge consents as required by the Water Framework Directive (WFD), down to 0.5 or even below 0.1 mg/L These stringent consent limits have been given to both large and small STWs in order to achieve “good status” in all surface waters. To meet the demanding standards, correct chemical dosing and efficient tertiary solids removal are critical. 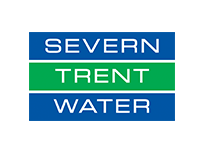 FilterClear is one of a very few technologies that is capable to achieve the stringent TP standard below 0.1 mg/l, which has been demonstrated by the National Phosphorus Removal Programme participated by all the water companies. FilterClear is a down-flow, depth filtration technology. It contains 4 layers of media: Anthracite, Silica, Alumina and magnetite. Flow is pumped to the top of the filter and filtered through 4 layers of media. FilterClear’s innovative patented design and offsite manufacturing offers the lowest total cost of ownership for tertiary filtration applications. 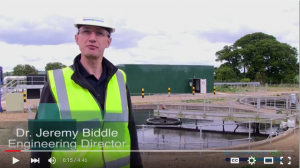 FilterClear was trialled at full scale by Yorkshire Water at Bolsover STW, a trickling filter site treating over 10,000 PE. 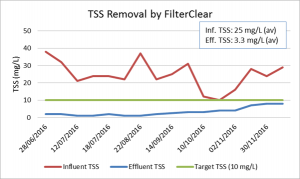 During the 10-month trial period, it was demonstrated that FilterClear plant was able to meet the challenging TP target of 0.1mg/L. 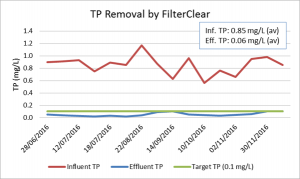 In comparison to other technologies, FilterClear can achieve this low TP consent limits without dedicated flocculation tank or polymer dosing. 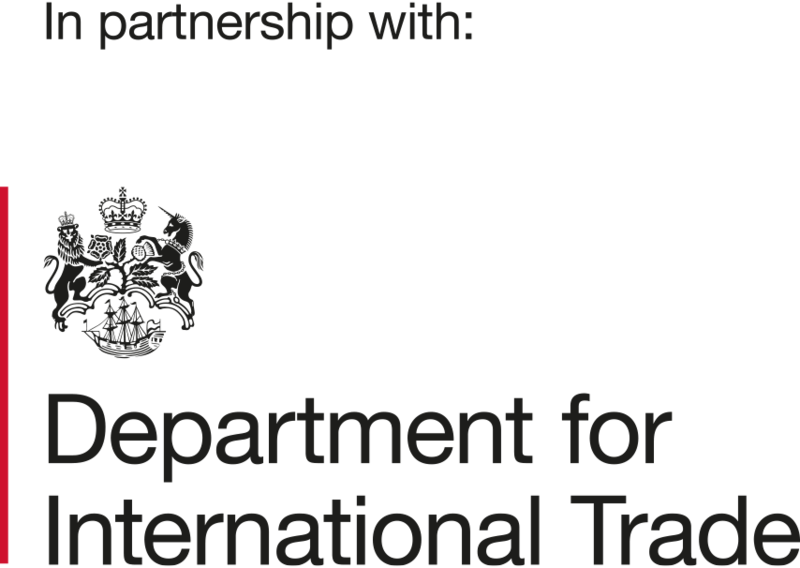 These benefits further reduce the cost and simplify the operation, providing a low totex solution to achieve the stringent consent limits.